Red Bull is a master of both branded content and large-scale event production, but when they wanted to combine the two, creating a global location-based game, they turned to Socialbomb. 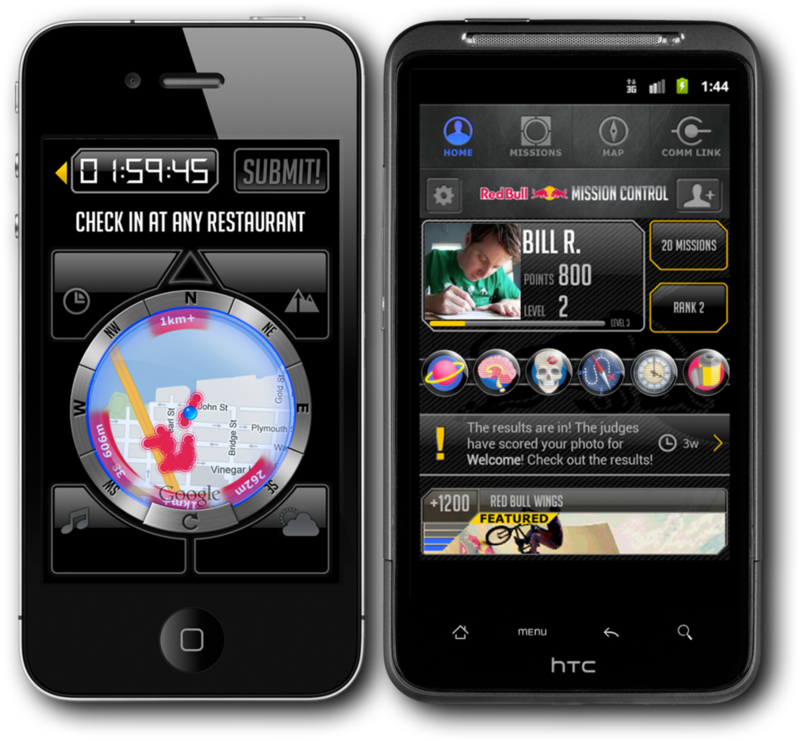 Our background in platform development and real-world games helped us quickly launch Red Bull Mission Control for iOS and Android. 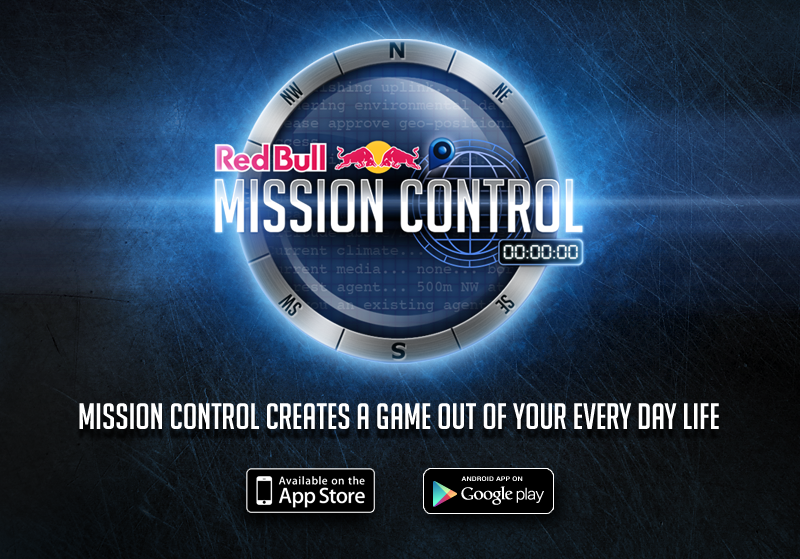 In Mission Control, players are challenged with an evolving series of missions that ask them to break with their routine and give wings to their day. Using an array of sensors and third party APIs, we created a flexible platform for branded content creation, with inputs as varied as the weather, current music playing, and nearby Foursquare venues. 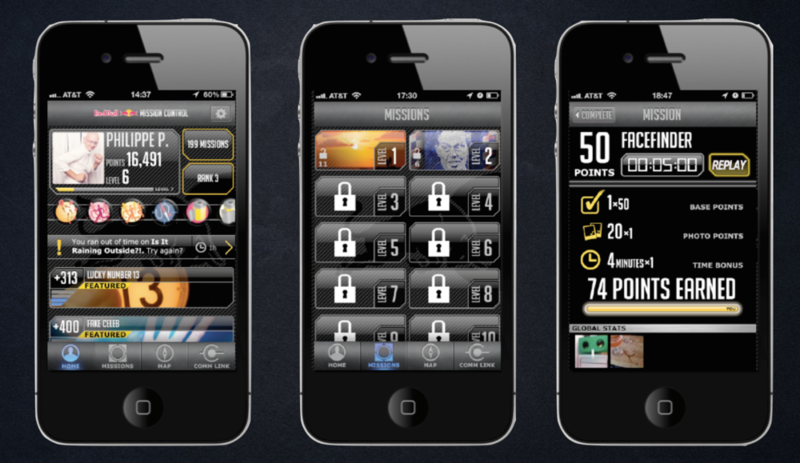 Spurred on by deep integration with Facebook's Open Graph, Mission Control provided a unique way for players to participate in the brand.